Just approved but cannot post in the approved members section. I’d give it a few days to post to the 501st website. Perhaps another member has some other options. Thanks Brien. I will continue work on these rivets. I hope to have the belt done within a few days. That’s very cool. I’ll check it out. TK-42134 replied to Darkish's topic in Newly Approved Members - Sound Off! 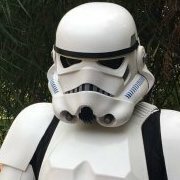 TK-42134 replied to Keith Henkel's topic in Getting Started - Read this First! Thanks for this tips Q. I will get started painting then. I was getting ready to paint the screws for my ears. I noticed I only have gloss white. Would this be acceptable to use? I have to run out and get semi gloss black for the TD screws. I only have gloss black. Congratulations on those big accomplishments. Welcome to the FISD! **SPOILER ALERT** So what about TLJ? A buddy and I were just talking about this. We both feel that it really wasn’t that good of a movie. Yes, there were some cool scenes in it, but it’s just not my favorite. I had lots of questions at the end of TFA. I had more questions than answers at the end of this. This last film has got a lot riding on it from a story point of view. Let’s see what J.J. does for the grand finale. I’ve read about people buying them at Walmart, but when I checked my local store they didn’t have any. I managed to store it in my bin with my armor. I hope you can find one that works for you. Just put an order in. I can’t wait to receive my first pair of accurate boots. Good luck with your EIB. You are motivating me to get mine done too. I’m just waiting on some parts. This is very cool. Looking forward to seeing it one way or another. 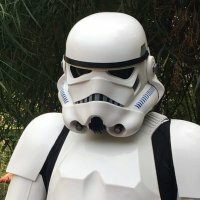 TK-42134 replied to rharlan91's topic in Newly Approved Members - Sound Off! I’m late to this, but congrats on your approval. I am also looking to go EIB. Good luck your EIB endeavor. Might as well measure my foot, or go with the 12.5? Good morning Troopers, I am getting ready to purchase my first pair of accurate boots from Imperial Boots when their run opens this Friday. I typically wear an 11.5 for my running shoes. I was thinking of getting a 12.5 or possibly even a 13 as I hear these boots run small. Should I go get my foot measured to be safe?